Labour Friends of Sure Start exists to celebrate, champion and campaign for our Children’s Centres. Our aims are to publicise the great work of Sure Start, to campaign against the Government’s cuts to it – and to generate new ideas for the future. Keep an eye on our blog for the latest updates. In 2016 we were delighted to launch There is always an alternative. This pamphlet shows that Labour Councils have closed fewer Children’s Centres than Conservative Councils. It also shows that Centres in Labour areas are more likely to be rated Good or Outstanding by Ofsted – whilst Centres in Tory areas are much more likely to be rated Inadequate or Requiring Improvement. 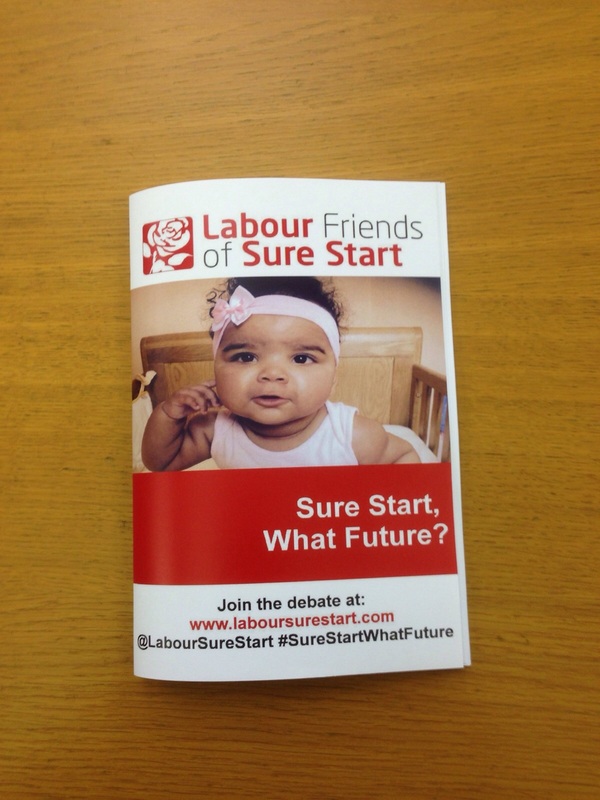 In 2015 LFoSS launched a new pamphlet Sure Start What Future? Sure Start, What Future? is a series of reflections on the future of Sure Start under a Conservative Government. It features contributions from MPs such as Tristram Hunt, Sharon Hodgson and Graham Allen, as well as Sure Start professionals and users. Sure Start, What Future? is an excellent read with a clear consensus on the way forward. The key message is the need to campaign tirelessly for our Children’s Centres. But we need to move beyond the politics of protest, to build new campaigns with the voices of Sure Start users at their very heart.